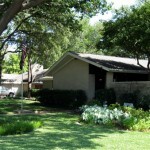 We first moved to Richardson in 1958 to our home on Frances Way on the East side of Richardson. 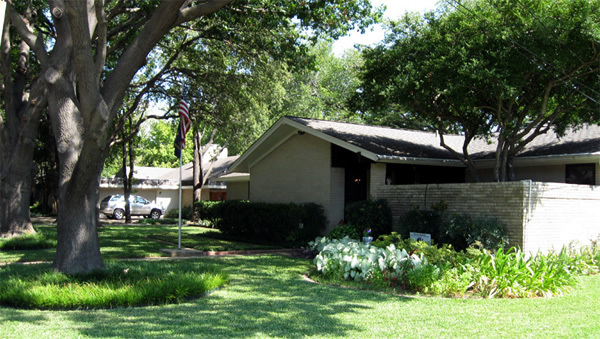 In 1964 we purchased a vacant lot on Cheyenne Drive in a newly developed area in the city. We created a preliminary design for our home and hired a contractor to finalize the design and build our home. We moved into our new home during the summer of 1965 and have lived here since. When we moved in, we could could see open farmland north of Melrose Drive. We have two daughters, both of whom attended Mohawk Elementary, North Junior High and Pearce High Schools. They are both married and we have five grandchildren. We planted our trees and put in our yard when we moved in. We updated our kitchen in 1985 and have changed our landscaping periodically. We love the neighborhood and plan to remain in our home as long as our health permits.